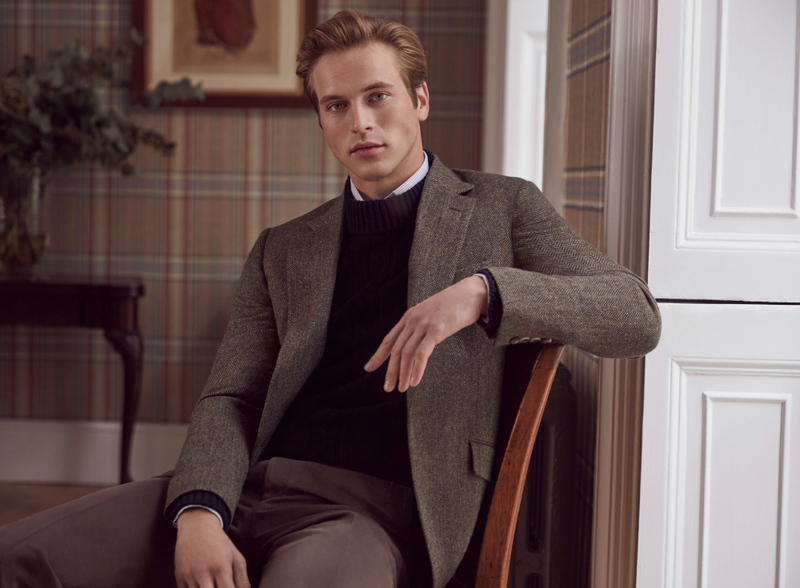 This spring sees the launch of the new Huntsman shirt, as elegant and balanced as our signature one-button jacket cut. 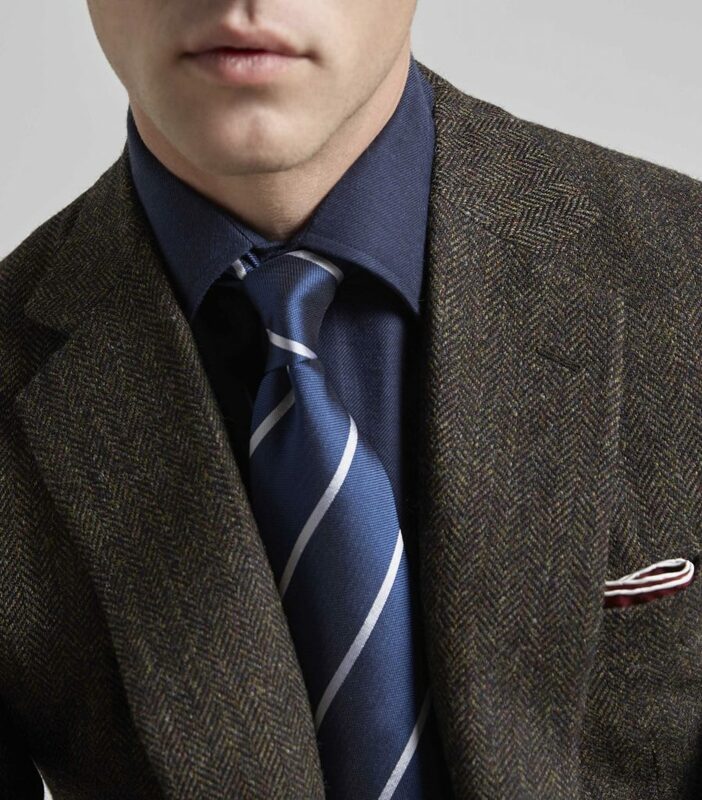 From collar and cuffs to buttons and fabric, consideration has been given to every detail. The result is a garment that is both a pleasure to wear, and to behold. 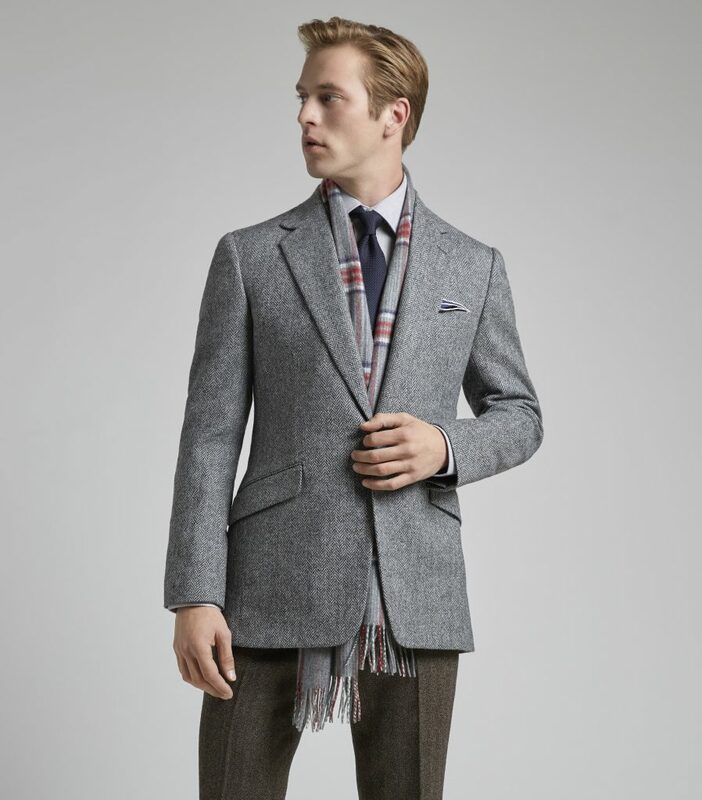 In developing this new design, Huntsman Creative Director Campbell Carey has designed a shirt that complements the life and style of the modern gentleman: looking smart on the go, with or without a tie. 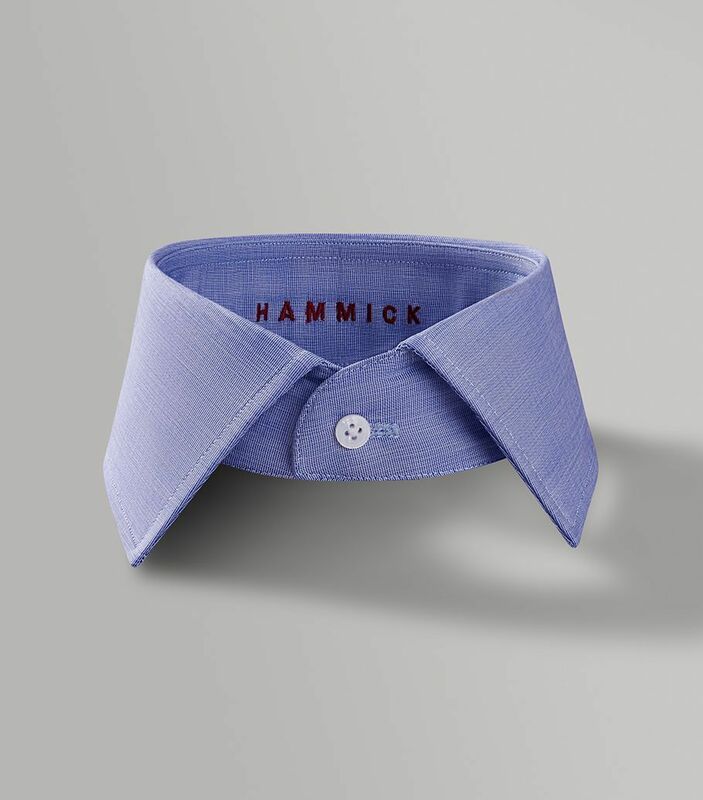 He’s partly achieved that through the introduction of two floating collars, the Huntsman and Hammick, named after our legendary Head Cutter Colin Hammick. 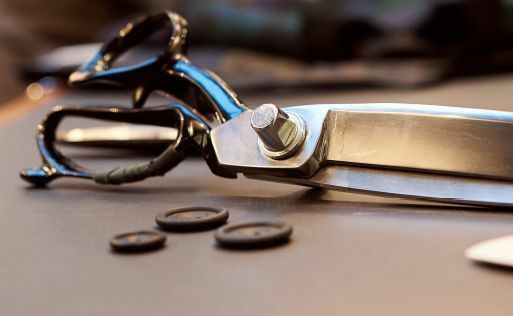 Crafted by hand, unlined, they retain their sharp, elegant point, no matter how they’re worn. 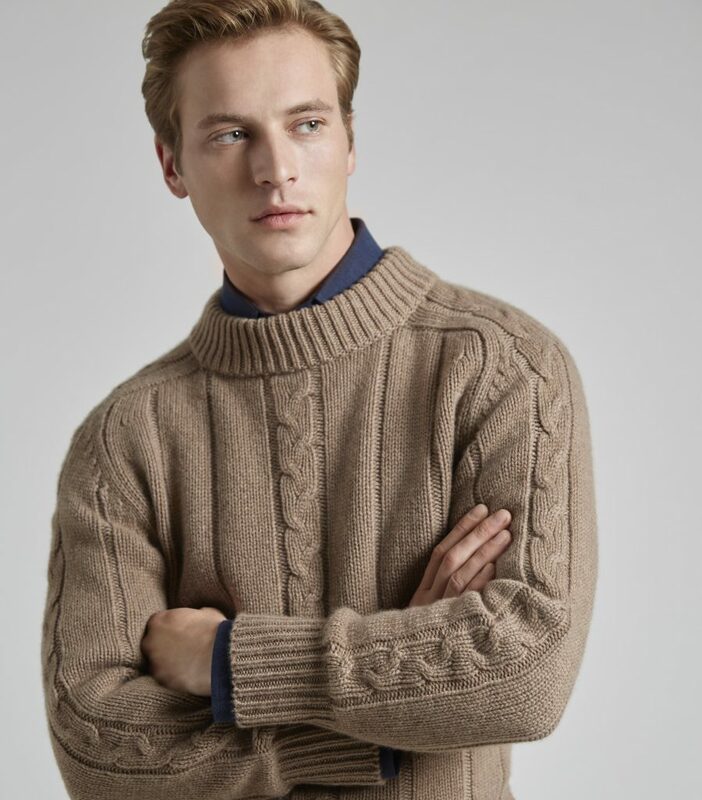 These collars combine with classic and slim styles to give customers the flexibility they prefer. 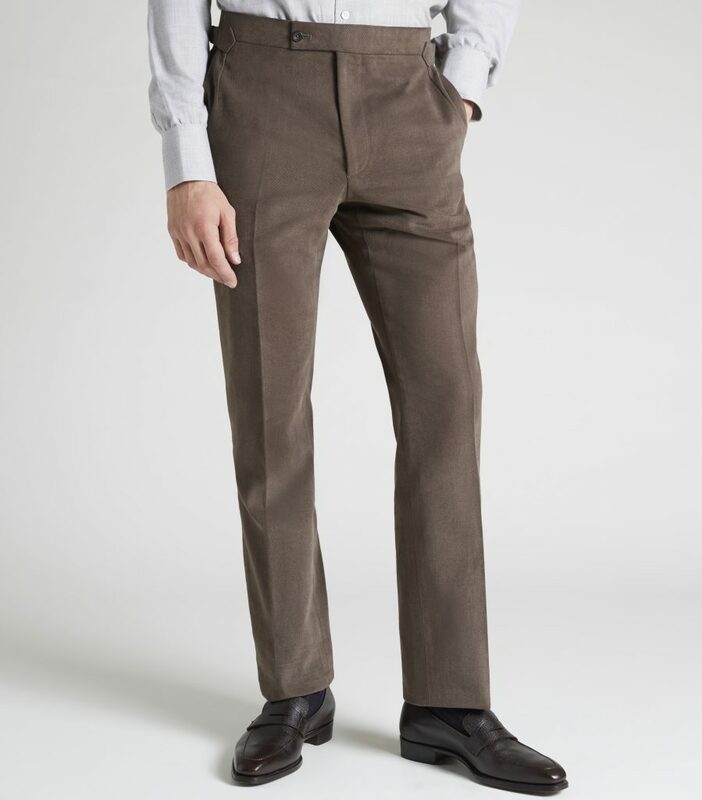 The cuffs, too, are fashioned to create a comfortable yet refined fit, sewn on to the sleeve with a stitching and gathering technique that creates a feeling of fullness, while sitting effortlessly against the wrist. The yoke also provides ease of movement, being made of two pieces of fabric. 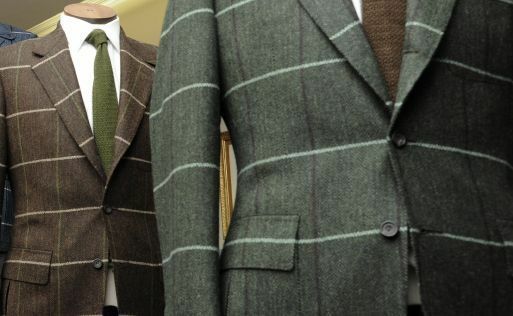 These tailoring details are then enhanced by a considered choice of materials. 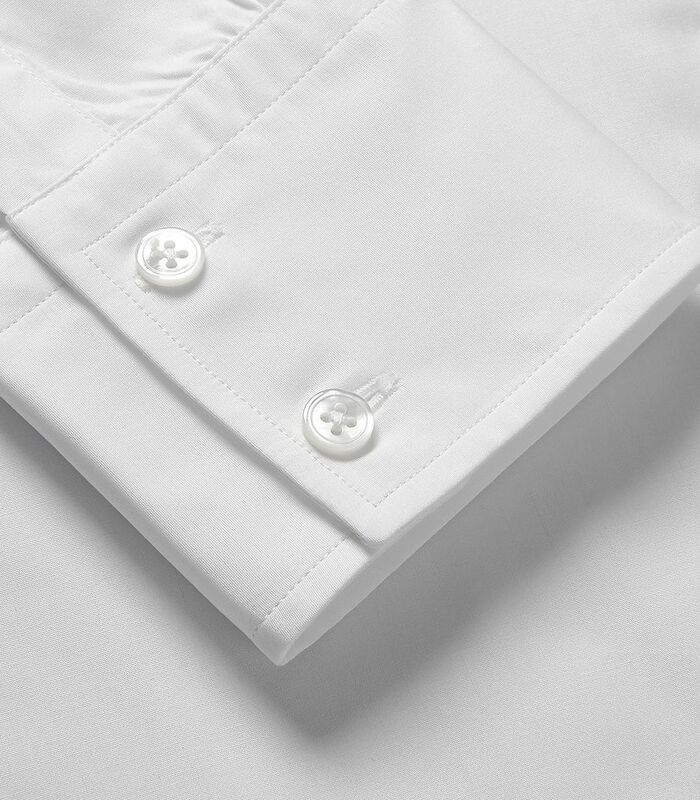 Mother of pearl buttons have been ecologically sourced from Queensland, Australia. Hand cut from the shell’s hard, dense centre, they’re sewn on to the shirt with waxed thread using a shank method, which melts and seals when pressed, keeping the buttons attached, but raised: a uniquely bespoke method. 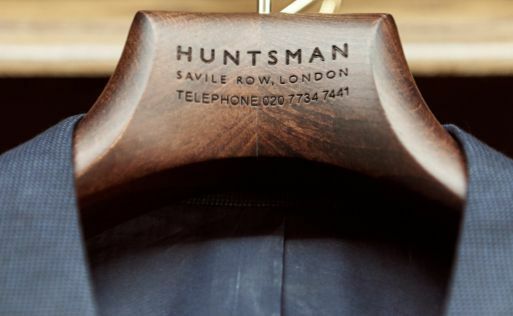 The Huntsman shirt represents a highly successful collaboration with Jermyn Street’s Turnbull & Asser. 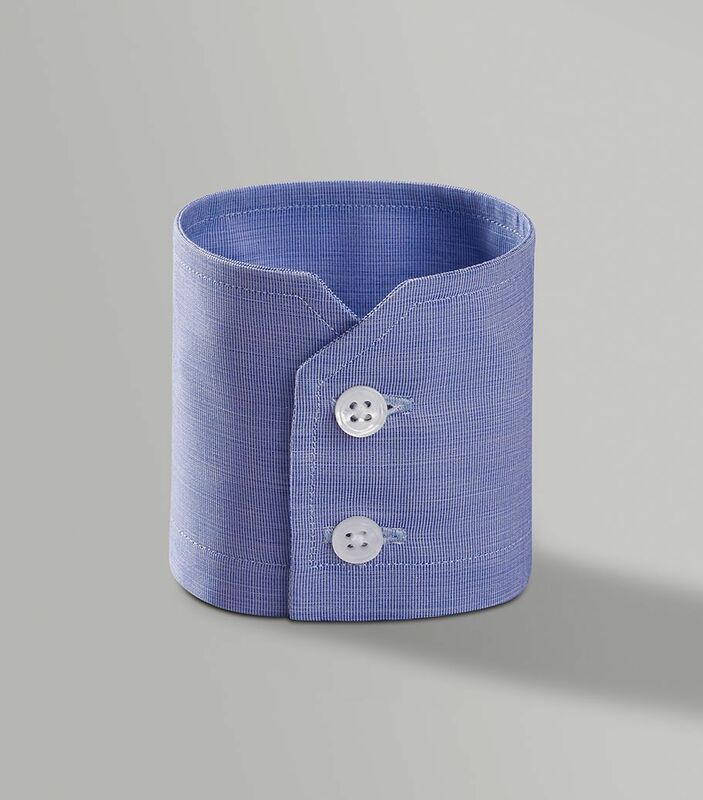 Their incomparable shirt-making expertise has brilliantly brought our designs to life. 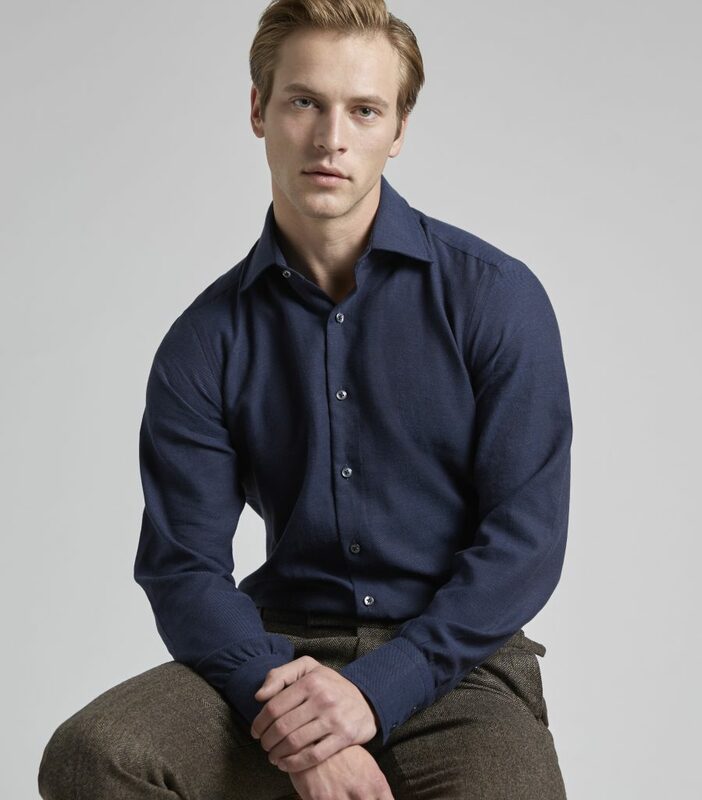 The shirts themselves are made from handpicked 100% Egyptian cotton, woven in Italy and hand-dyed in Europe. 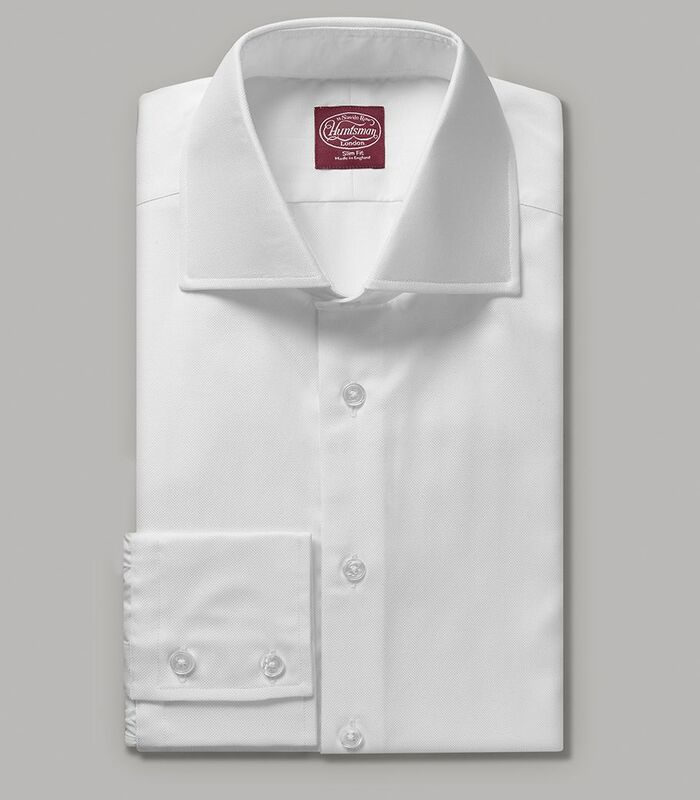 This quality fabric is super smooth and hardwearing, softening with each wash, while retaining a precise finish on collar and cuff. Blue and white poplin, Bengal stripe, mini check: there’s a design to suit every occasion, including an ultra-luxurious blue cashmere blend and a bib-front dinner shirt in white cotton Marcella weave. And you’ll soon be able to see for yourself, when it launches with our spring 2017 collection, in store and online. 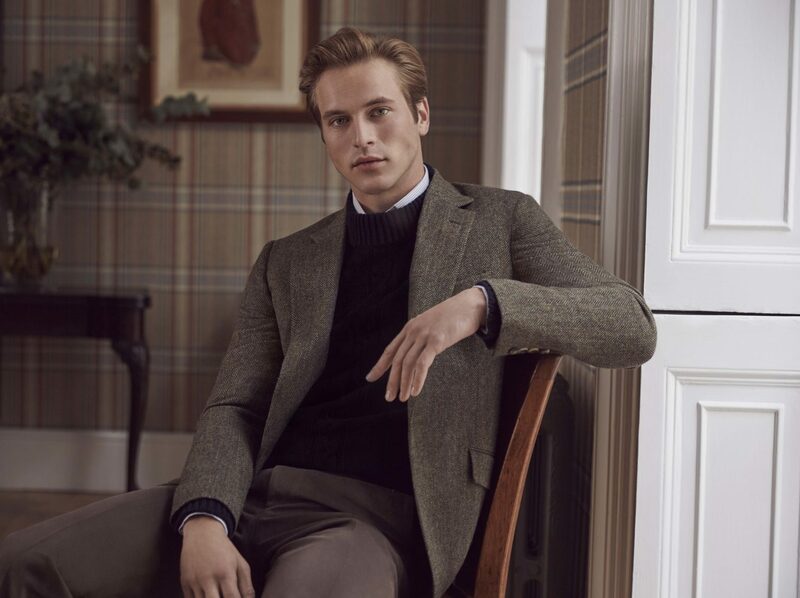 As well as the options available in Ready to Wear, the fit can be adjusted to match your figure with the Made to Measure service. 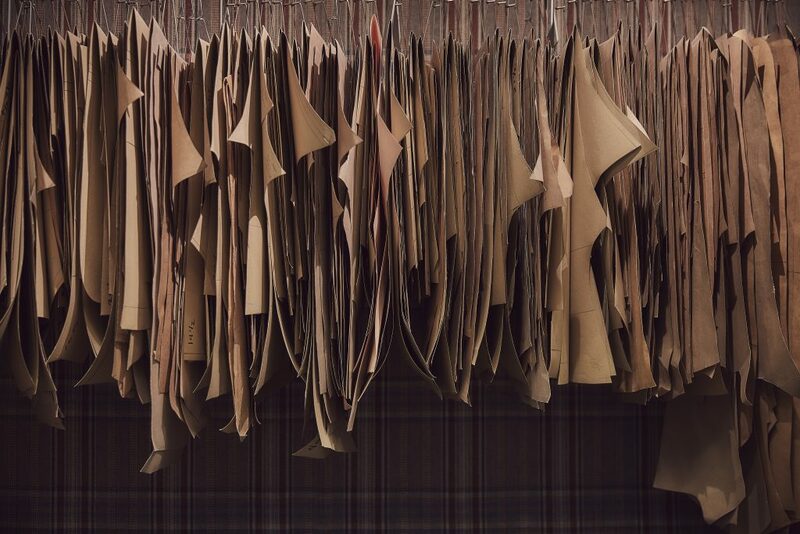 A wealth of choices then become available to you: over 1,000 different fabrics, as well as six cuff shapes and another four collar styles. And for that extra special touch, monograms can be added to the front or cuff in your preferred colour and material.